Capacity: 12 000 t lifting capacity. Dock is completly steel made. 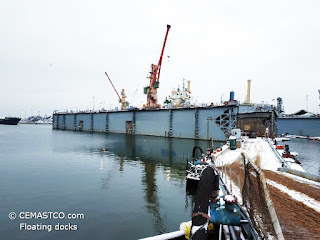 The floating dock is in working condition the shipyard renew their facilities.